NBC News is offering up a digital-only offering as part of its State of the Union coverage under a “watch party” banner. 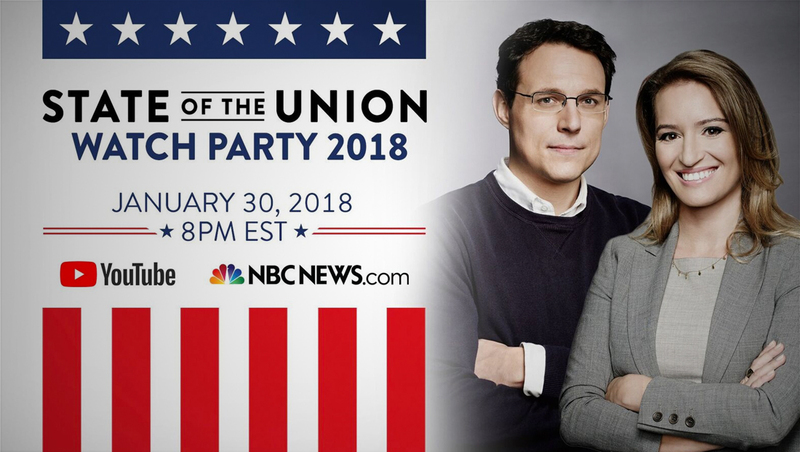 “SOTU Watch Party 2018,” hosted by NBC News correspondents Katy Tur and Steve Kornacki, will be available exclusively on YouTube and NBCNews.com. 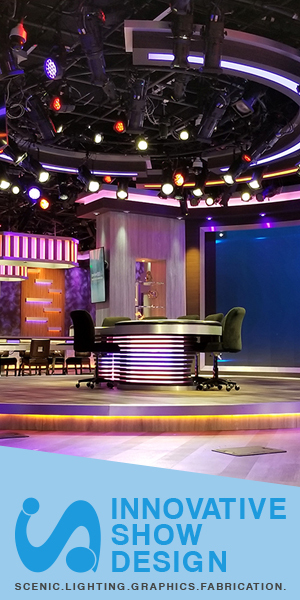 This pre- and post-show special (beginning at 8 p.m. eastern for an hour and continuing again at 10 p.m. after the speech) will include the hosts breaking down some of Trump’s 2017 highlights, discussing viral moments from past addresses, hosting some presidential trivia, conversations with special guests and more. Some of the special guests will include former White House Communications Director Anthony Scaramucci and former Obama speechwriter, David Litt, who is also the current head writer and producer for Funny or Die. The network created two informal promos featuring Kornacki and Tur. The publicity image released Thursday features the red, white and blue flag-inspired motif the network has used for inauguration and other major political coverage.